A consortium of retailers, spearheaded by Walmart, got together in 2011 to start a company called MCX, or Merchant Customer Exchange. Participating retailers included Walmart, Target, Best Buy, CVS, Shell, Olive Garden, Lowes, Michaels, Sears and more. Collectively they operated more than 110,000 retail locations and processed $1 trillion in payments annually. A large consortium of retailers signed up for CurrentC. But it wasn’t enough. With this consortium behind it, MCX started working on a payments platform that would cut out the credit card companies and their cumbersome fees. That app was CurrentC. CurrentC would work through bank accounts and ACH transactions to enable payment processing at a much lower cost. 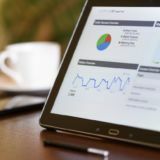 The app would also incorporate retailers’ existing loyalty programs and provide them with more data on their consumers. CurrentC was meant to integrate with retailers’ existing loyalty programs. Compared to MCX’s ambitious goals, Apple’s much-hyped Apple Pay was very modest. Apple partnered with American Express, Mastercard and Visa as well as major banks like JPMorgan Chase. Despite the media hype, Apple wasn’t trying to replace the existing payments infrastructure. It was actively working with it. CurrentC was billed as an Apple Pay challenger. But it wasn’t really. This label stemmed mainly from major retailers announcing that they would refuse to use Apple Pay while they waited for CurrentC. Instead, CurrentC was a Visa and Mastercard challenger. Despite Apple’s considerable tech chops, challenging these established payments networks was a much tougher task. However, MCX’s large network of retailers gave CurrentC a distinct advantage. Or it least it should have. Within two years of Apple Pay’s launch, CurrentC failed. MCX shut it down in June 2016. Nine months later it was sold off to JPMorgan Chase, which would use parts of the technology in its own Chase Pay app. But the dream of challenging the major payment networks was dead. MCX got a number of things wrong with CurrentC. Unfortunately, these mistakes were emblematic of ones that linear businesses often make when trying to launch platform businesses. They suggest an inability to escape the mental models of a linear business when trying to create Platform Innovation. For any platform initiative, this can be the death knell. MCX and CurrentC were created with one purpose: solve retailers’ credit card problem. For retailers that typically operate on thin margins, losing as much as 3% of your sales to a third party is a major issue. CurrentC would eliminate these fees and help increase profits. Unfortunately, consumers didn’t share this concern for retailers’ bottom lines. Credit cards are popular with U.S. consumers. Signing up and funding your payment wallet through ACH was not a behavior that consumers were used to. It also did away with the main benefits of credit cards that consumers like, such as income smoothing and being able to finance purchases. CurrentC didn’t give them a good reason to change. Like any platform business, payment platforms are two sided. You need both consumers and merchants to make a new payment platform work. While many retailers loved the idea, CurrentC failed to create a strong value proposition for consumers. Paying with CurrentC was often considered a pain by consumers when compared to simply swiping a credit card. CurrentC used a QR code payments system that involved consumers having to take out their phone and either present a code or scan the retailer’s to make a payment. It’s easy to understand why CurrentC went this route. 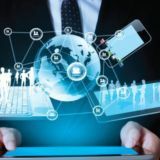 It’s the same payment method that has worked very well for mega-successful payments platforms Alipay and Tenpay in China. Paytm, by far India’s leading payments app, uses the same method. However, in both China and India, credit cards are far less widespread, and most merchants don’t accept them. Cash was, and in many cases remains, the main medium of exchange. Those payment platforms weren’t competing with credit cards but rather against paying with cash. The improvement when moving to digital payments from cash is much clearer. CurrrentC’s QR Code technology wasn’t familiar to U.S. retailers or consumers. In contrast, Apple Pay, intent on working with existing payments infrastructure in the U.S., took a different approach. It used NFC communications, by that time nearly ubiquitous on modern smartphones, to enable payments. Consumers simply had to place their phones within about an inch of an NFC-enabled payments terminal to process a payment. Better yet, faced with the upgrade to EMV chip cards and new regulation in 2015, retailers were replacing their payment terminals en masse. These new terminals also supported NFC. Rather than seeing that the payment landscape in the U.S. was different and going with NFC, CurrentC stuck to QR codes. Merchants would have to work outside of all their existing infrastructure to accept payments on CurrentC. This switch would take time – meaning CurrentC would take longer to get to market – and add significant onboarding costs for most participating retailers. The successful payments platforms that CurrentC was trying to emulate had another big difference. They all heavily subsidized early usage. Alipay and Tenpay subsidized early activity and ran huge giveaways for consumers to juice adoption early on. In India, Paytm has for years offered massive discounts on purchases made through its payments platform. In digital payments, PayPal subsidized early users with sizable referral and sign up bonuses. CurrentC didn’t. Paytm offered consumers huge “cash back” offers to incentivize them to use its payments platform. In contrast, MCX actually charged a significant upfront fee for retailers, reportedly as much as $250,000-$500,000. MCX also required retailers to sign a three-year mobile payments platform exclusivity deal, though with a one-year grace period to opt out. Additionally, CurrentC’s ACH-based system imposed significant costs on consumers who were used to paying on credit. Purchases made over CurrentC would be debited directly from customers’ bank accounts. Cutting out credit cards was in fact the whole purpose. But consumers can benefit from being able to make a purchase now and paying later. CurrentC tried to induce consumers with “offers,” but these were often more like digital coupons to select retailers than significant discounts. As a result, CurrentC took away the advantage of using a credit card without offering anything significant in return. These three mistakes by MCX represent fundamental failures in trying to create platform innovation. 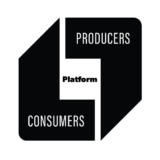 Platforms are multi-sided businesses that need to offer benefits for both consumers and producers in order to be successful. Additionally, getting a new network off the ground is hard – especially when you’re trying to create significant behavior change. MCX tried to change too many behaviors at once, for both consumers and retailers, and ended up changing nothing as a result. One of the keys to platform innovation is to focus. MCX didn’t. CurrentC seemed great in concept. But it tried to change too much, too fast, and it didn’t try significantly subsidize user adoption. Even with the magnitude of behavior change that MCX was trying to create, it didn’t make significant efforts to subsidize user adoption. Unlike linear businesses, platforms need to hit critical mass before they can start to generate profits. Early on, almost all platforms need to subsidize usage to incentivize their first users to join. Instead, MCX imposed significant costs on retailers, both up front and at the infrastructure level, and removed significant benefits from consumers. Charging big up-front fees is emblematic of a linear mindset, but in platform innovation it’s often a big mistake. Getting more retailers on board would have been far more beneficial to CurrentC than whatever capital it was able to generate with sign-up fees. Retailers who were desperate to ditch credit card fees could have instead used this money to offer discounts to consumers to incentivize them to purchase with the CurrentC app. This exact strategy has worked in a big way for Paytm in India. Last but not least, MCX took far too long to bring CurrentC to market. With an initiative that started in 2011 and was publicly announced in 2012, MCX should have had a huge head start on Apple Pay and other competitors. Instead, it was one of the last to market. Even worse, most of the exclusivity deals that retailers had signed stemmed from 2012 when MCX launched publicly. By the time CurrentC went into beta in late 2015, this lockup period had already expired for many retailers. Before CurrentC could even launch its beta, major retailers like Best Buy were already announcing that they would support other payment apps like Apple Pay. Before CurrentC could even reach beta, major retailers were already jumping ship. If MCX had gotten to market much sooner, it may have smoked out some of the major issues with its business model before it was too late. But by waiting and trying to build the perfect solution, it built something nobody wanted. This kind of approach is typical of large, linear businesses. They are used to working in a waterfall fashion and releasing big products. However, when engaging in platform innovation, we emphasize an agile approach with all of our clients. It’s important to get to market quickly and iterate. Prototyping and testing are key. As the old saying goes, no plan survives contact with the enemy. With the need to balance the desires of multiple user groups, new platforms need to start interacting with users as soon as possible. MCX waited far too long, and now retailers are paying the price.